Christmas is supposed to be a season of joy and gladness. But sometimes it can be a season of pain and sorrow. For author Connie Cameron, Christmas of 2009 was just that. However, Connie was reminded that she didn’t have to succumb to the pity party; she had a choice. When she trusted God in the midst of her sadness, He worked behind the scenes in her heart and in the hearts of others. Christmas Underdogs is an inspiring book! Connie Cameron shares seasons of joy and seasons of sorrow in this touching, personal story. I enjoyed the wit, wisdom, and candidness with which she recounts her journey helping underdogs, both canine and human. 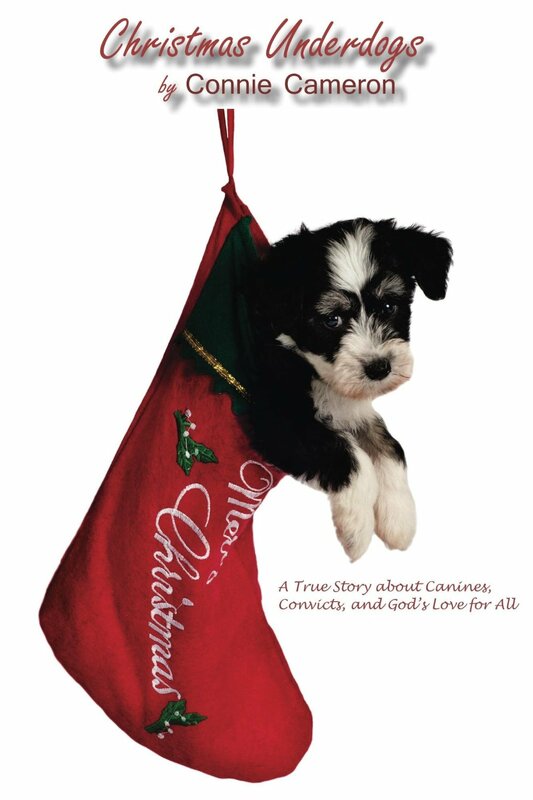 Christmas Underdogs is a heartfelt tale that will bring laughter and tears and encourage you to open your heart to those around you! You are very welcome, Connie! Thanks so much for stopping by! !